Yesterday, HGreg.com had the privilege to help out in the kitchen at the Miami Rescue Mission’s homeless center for men. 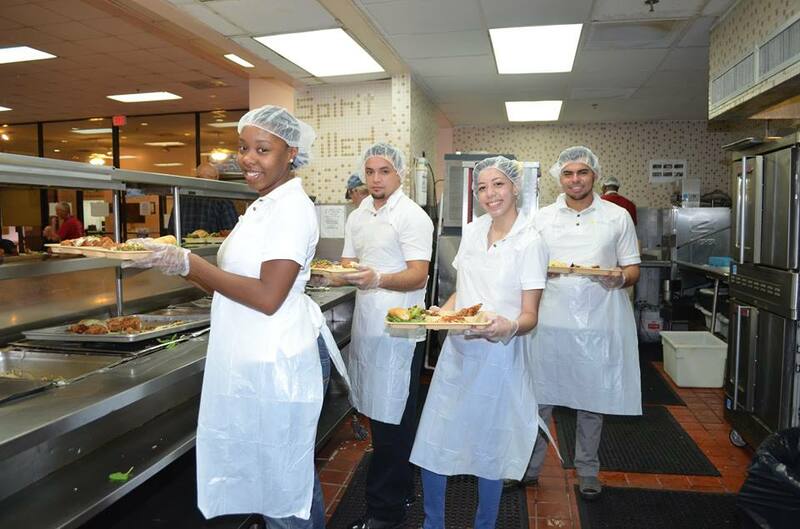 We truly appreciate what Miami Rescue Mission is doing for our community. They have been helping the homeless and less fortunate get their lives back on track since 1922. We were able to meet some of the residents and learn of their heartfelt stories and how grateful they are to Miami Rescue Mission. We also learned that many of the volunteers have been helped by Miami Rescue Mission themselves and are now giving back to their community as well. From Left: Geneva Bell, Jonnathan Mora, Johana Lazo, & Lucas Granados. As an organization that truly cares about our community, we feel fortunate that we could help out in any way. We also encourage others in our community, who are able, to give back as well. Remember, we are all a reflection of our community and we want to make sure that we have a healthy and thriving one. We’d like to give a special thanks to the Volunteer Coordinator, Lian Sarduy, for welcoming us with open arms. We’d also like to thank the staff, other volunteers, and the residents for welcoming us and being so appreciative. We look forward to our next visit!